Control Panel and Panel PC series feature multi-touch screen technology. Beckhoff Automation introduced its CP2xxx and CP3xxx Control Panel and Panel PC series, that feature multi-touch technology. The aluminum and stainless steel widescreen panels are designed for use under harsh industrial conditions and are available in various sizes and resolutions. In addition to 4:3 format display sizes, the new widescreen displays are available in: 7-inch with a resolution of 800 x 480, 15.6-inch with 1366 x 768, 18.5-inch with 1366 x 768 and 24-inch with the full HD resolution of 1920 x 1080. In order to ensure industrial compatibility, the multi-touch series uses Projective Capacitive Touchscreen (PCT) technology. The front of the display is a glass pane with an anti-reflection coating and operation with work gloves (e.g. latex gloves) is also possible. 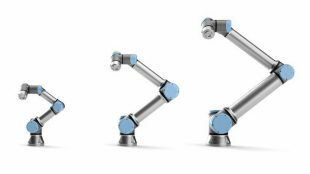 Five-finger touch and automation solutions with 2-hand operation are equally possible. Familiar smartphones functions, such as zooming, scrolling, object turning, flicks, etc. are now also usable for industrial applications. A special touch controller prevents faulty operation, e.g. due to a water droplet or the ball of the hand. In addition, the panel series is designed both for control cabinet installation and for mounting arm installation. The CP2xxx built-in Panel PC series is implemented with IP 65 protection at the front and IP 20 at the rear. The CP3xxx Control Panels for mounting arm installation feature all-round IP 65 protection. The CP29xx and CP39xx series use DVI/USB Extended Technology and can be operated up to 50 m away from the Industrial PC. The CP22xx built-in devices are also available as Panel PCs with Intel Celeron Core i3, i5 or i7 processor.